Users management in your account is simple and east to manage. these users management settings are relevant to UI users and the activities they would perform in our console. 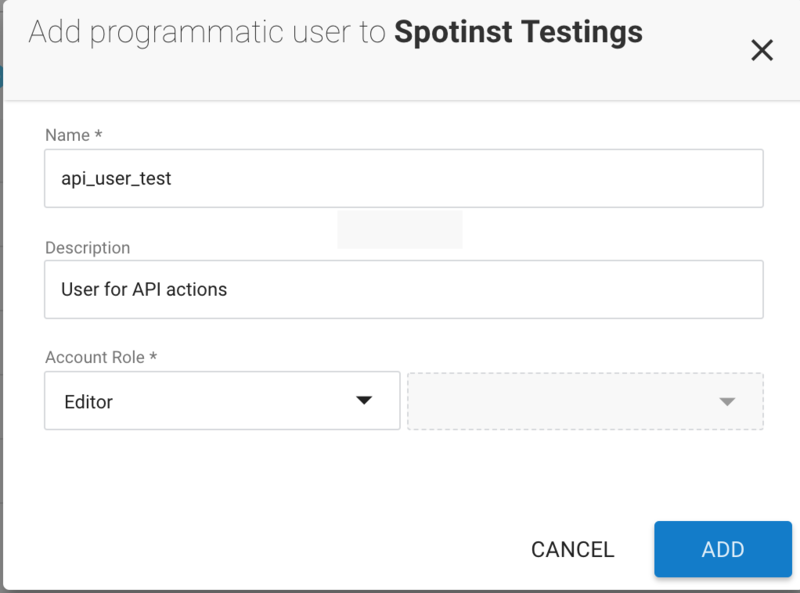 Programmatic users are defined for using our API without using a specific UI user credentials. Separating the UI and API users provides clearance on activities in our system and user who made the specific action. Set programmatic user can be in the organization level or on the account level. The account level will provide access to API actions regarding the account resources. 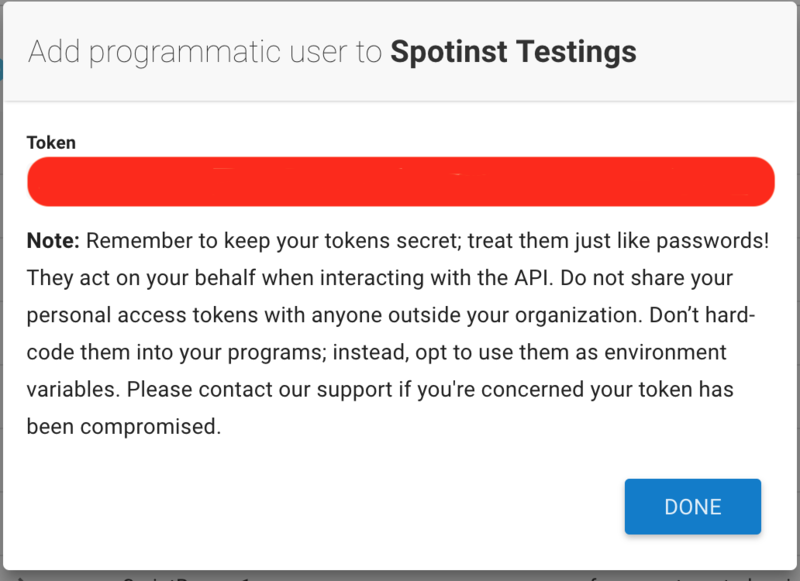 Organization level will provide access to API actions regarding all resources managed in Spotinst in the organization. Remember to save the token in a secured manner.